Waking up on Saturday to the car already packed with ALL our bags (they all arrived in time). What a great husband I have. Pavement… yes ALL THE WAY to Nyahuka, Bundibugyo. Making a once 8-9 hour trip 7 hours! 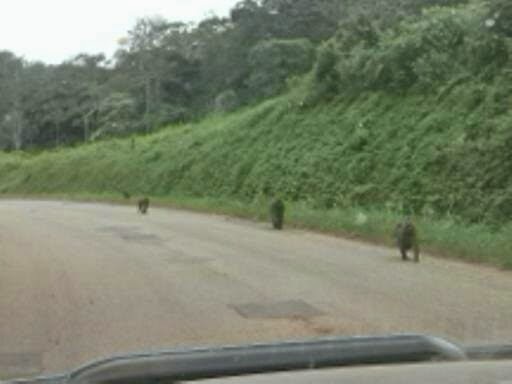 A flock of mongoose crossing the road. Or is it mongeese? Come to think of it, what do you call a group of mongoose (mongeese) moving together? a Gaggle… a pod… a pack? Anyway, it was pretty cool to see them all crossing the road. Almost hitting a cow. No really, we almost hit him. Great signs like “New life butchery”. Is this proof that animals go to heaven? Beautiful canopy trees, and picking out the ones we want to plant in our yard. Mubende. A small town we pass through that is rightfully nick-named the “in your face chicken place” Uganda’s only drive through (that I know of) where vendors swamp your car and shove their goods in your cracked window. 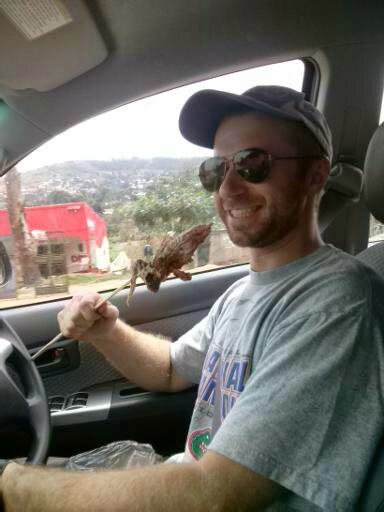 But I have to say their chicken on a stick is delicious! And the roasted bananas were wonderful too. Buying my favorite variety of mango on the side of the road. A shopping bag full for less than a dollar! 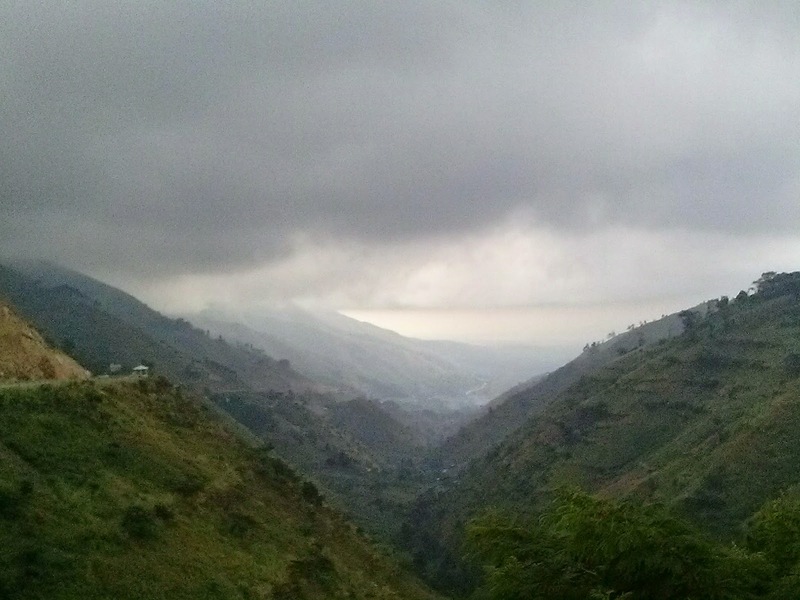 The amazing view coming around the Rwenzori mountains with a storm coming in. Seeing Bundibugyo from a new perspective. As happy as I am that the bumpy dirt road is paved. 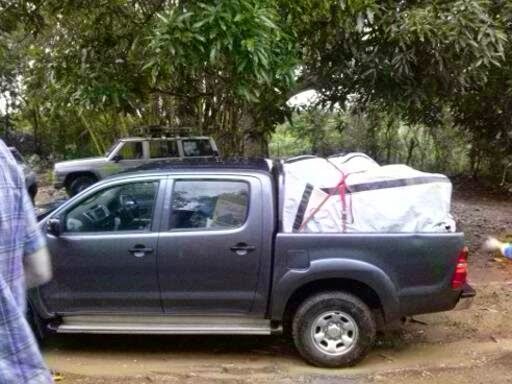 I thought I would really miss the romantic nature of driving through the bushy jungle to get to our village. I was sad that more trees would be cut to widen the one lane dirt road. I couldn’t image how much more of Bundibugyo could be seen with trees removed and the road leveled in parts. This place is beautiful. It took my breath away. Being greeted and warmly welcomed by our team and Ugandan neighbors in the exact spot Josh and I met almost 3 years ago. It’s good to be home! Thanks to everyone who prayed us here!